Understanding how your competition is pricing their products, how they are factoring in extra costs is crucial to making more sales for your business around christmas time. I will also introduce the use of Growth Hacking so that you can steal followers from your competitors and turn them into customers. Every high street and online retailer will be spending more money on their marketing budget than ever before in a bid to increase their sales. I will help you understand your target audience and work out where they are spending their time online, so you know where best to spend your marketing budget. I will be sharing with you the latest tips and techniques to make sure your website is SEO ready to increase your exposure in Google Search, as well as how to use PPC campaigns to your advantage. Staying brand consistent is so important when it comes to building trust online. I will share with you a great tool to help you stay professional and brand consistent with your images. What is your online voice, and does it reflect the core values of your business? Let me help you define this in some very simple, easy to follow steps. I will share with you how I have found partners with my target audience to market my book; Think #Digital First. You can do it too! Christmas shopping. As a business that thrives around the christmas period, it is important that you are capturing the “early shoppers” as well as the “christmas eve” shoppers. 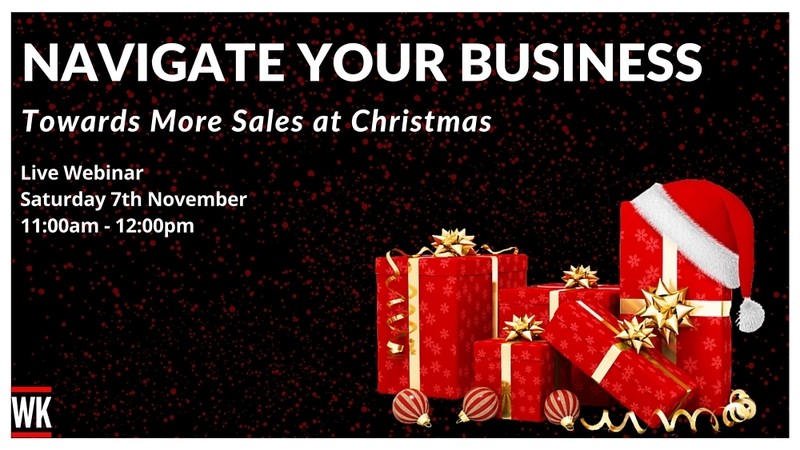 Understanding how to navigate your business towards more sales at Christmas might seem like a hard task, but more and more shoppers are spending more money than ever.